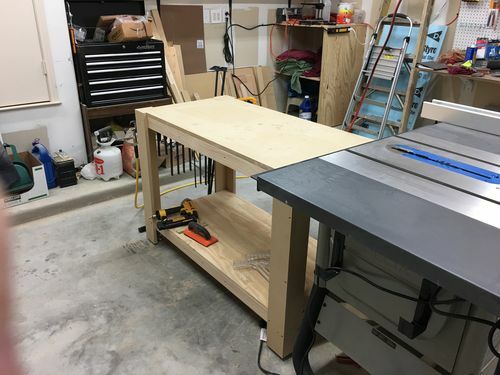 I built the table when I had a DeWalt DW745 job site table saw, and now I have replaced it with a Delta 36-725 which is a good 3” taller. I am looking for suggestions on how best to do this. 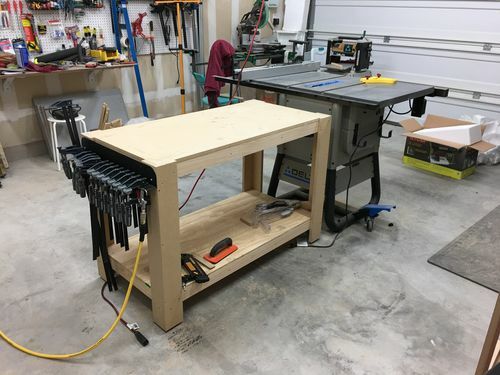 My first thought was making making 2 runners (one for each end of the table) the same width as the table made from gluing 2 pieces of 2×4 together, then drilling indentations for the leveling feet to fit into. Any other suggestions? +1 exactly what id do,easy and mobile. You could cut some hardwood pieces the same size as the bottom of the feet and glue them on. I did that on my old work bench to get it up to the height of my table saw. 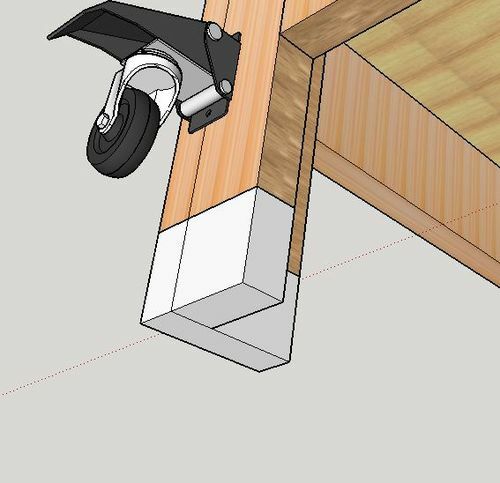 What would be perfect is finding casters that would thread into these mounts so that I would have wheels but still be able to level the table.